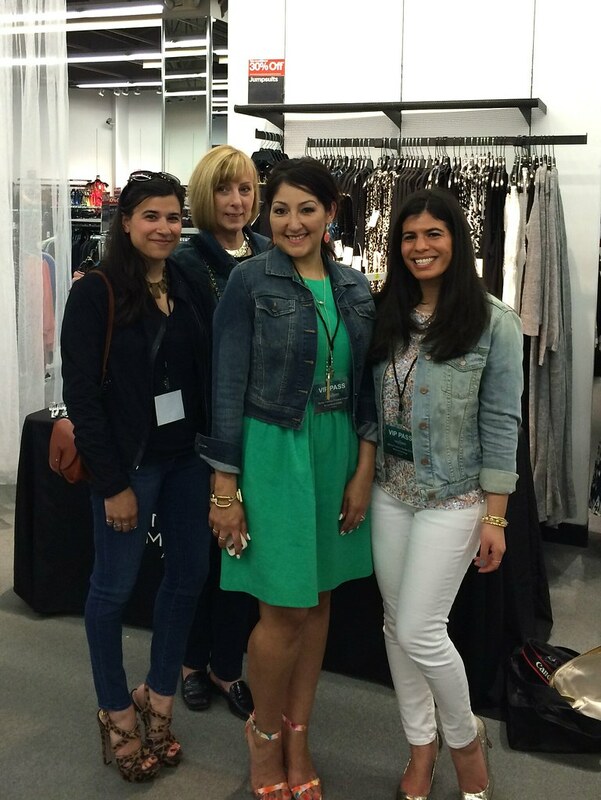 Last Thursday I was invited to a Spring Fashion Preview shopping event at the Clinton Crossing Outlets. 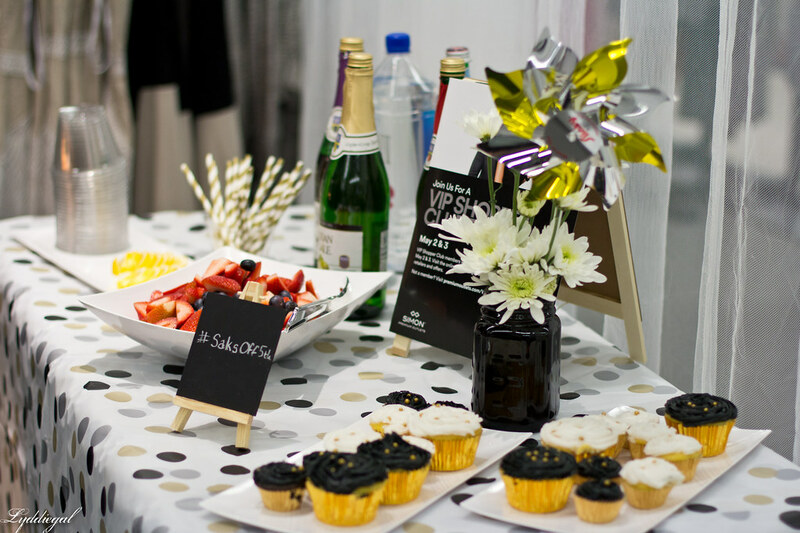 The event kicked off at Saks Off 5th with some refreshments and mingling. I met Rosa of Lady Diana's Pearls, Wendy and Greg of CT Lifestyles, and of course met up with Meg! We were treated to gift bags, $30 gift cards and a little itineracy of shops participating in the event. 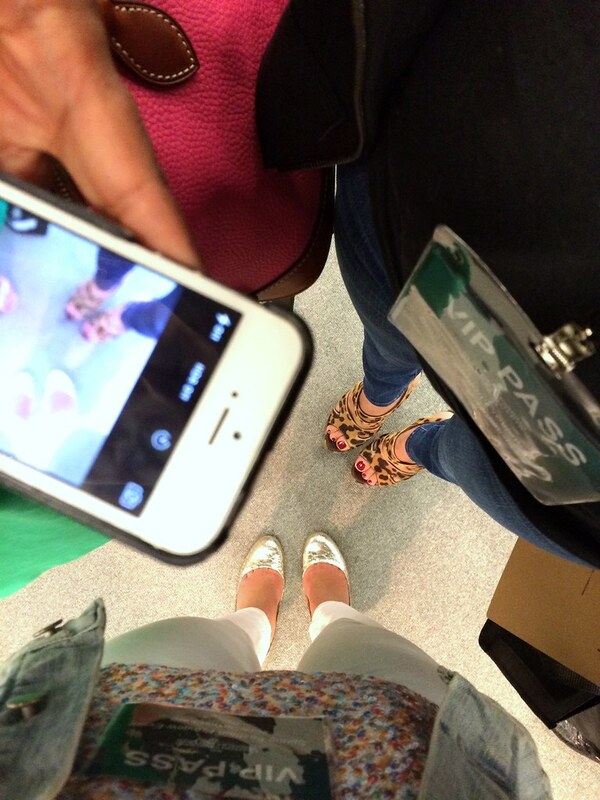 The five of us decided to shop together and spent the rest of the evening shopping, laughing, and instagramming. Our first stop was Designer Fragrances and Cosmetics Co., where I was very tempted by their half price Essie polishes. 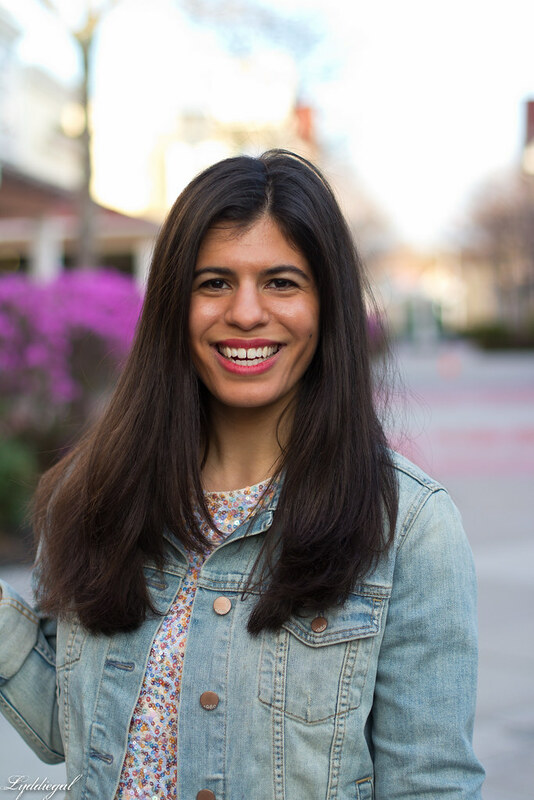 They treated us to our choice of lip color and I chose the gorgeous red shade I'm wearing in these outfit photos. 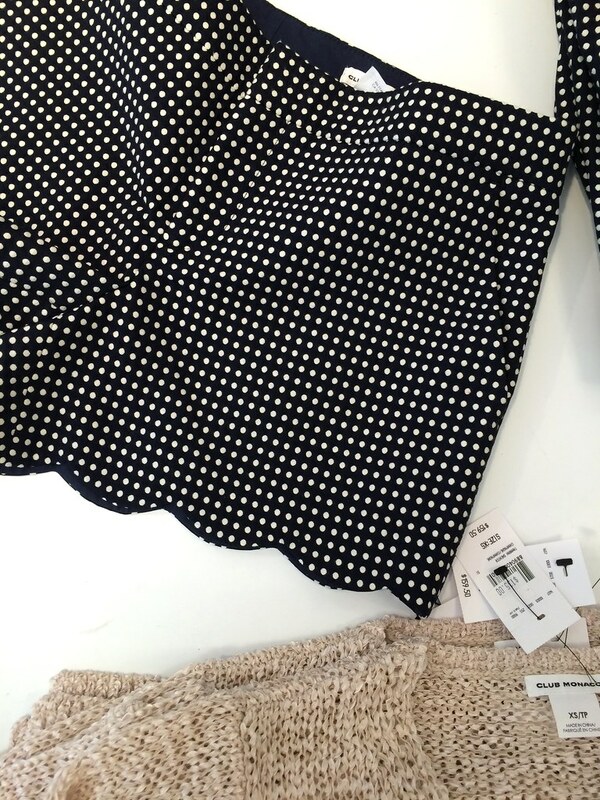 Next up was Club Monaco, where I spotted yet another pair of scalloped hem shorts, and with the whole store on sale, had they been in my size, I might have caved and gotten them! 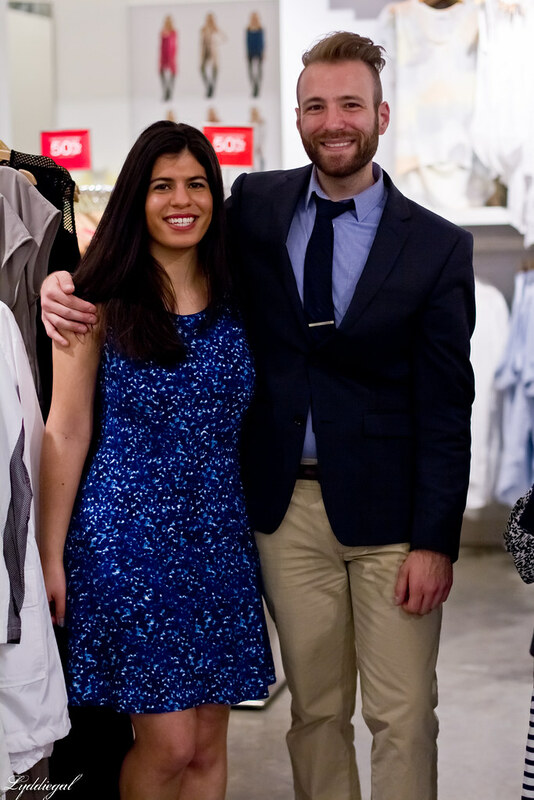 Following that we headed to DKNY where the store manager Bill, and the whole staff showed off their spring line and I tried on a slew of cute summer dresses. We got a chocolate and coffee break at Lindt, of course I would have loved to sample the whole store, but I certainly enjoyed the Hazelnut Torte bar I tried. The store also recently got a new drink bar, where you could have the truffle of your choice turned into either a hot chocolate or café au lait. I chose the dark chocolate sea salt truffles for my drink and it was so good! Then we made a quick stop in the Swedish inspired children's store, Hanna Andersson, and I think I might have to do some shopping for my Nephew there in the future. How cute is this onesie? Our next stop was J.Crew Factory, where as usual, I wanted everything in site. Since I was trying to be good, I did not let this amazing printed blouse get the best of me (but maybe when it goes on clearance...) However I did pick up an adorable anchor print PJ set, which was half off. Finally we headed to Areopostale, where we were generously gifted $50 gift cards to spend that day. They had lots of bold colors and fun prints in their spring line up, and their prices are amazing! I left with a white denim jacket for $25, an adorable printed tote for $18, and I even picked up a set of foil temporary tattoos, I'm excited to try when it gets a little warmer. If this adorable tassel embellished tank had been there, I would have snatched it up too! Even though the event was supposed to end at 8pm, we ended up staying until the mall closed at 9pm, we were having such a great time and enjoying the event. 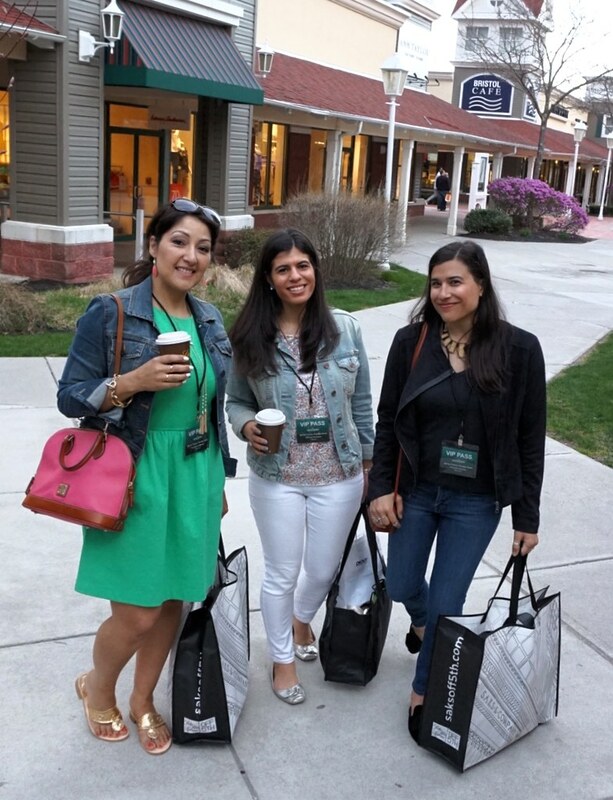 It was so refreshing to have a shopping event in Connecticut, rather than NYC - I was home by 9:30! 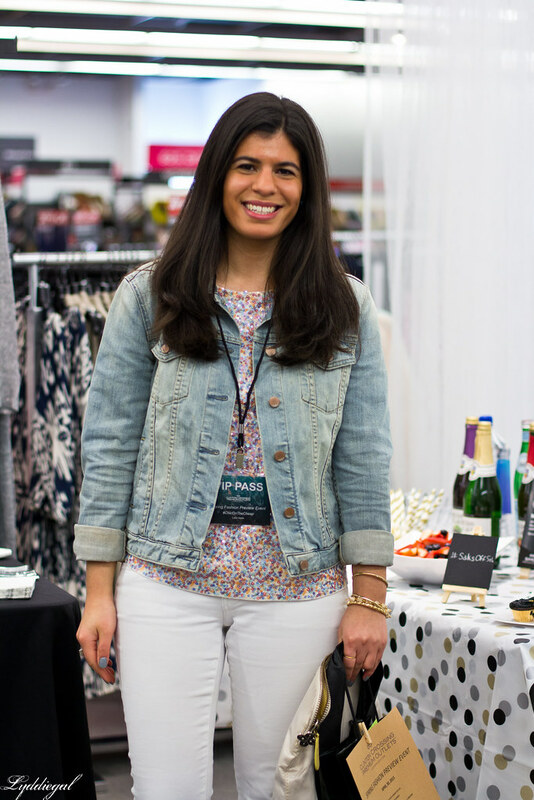 A huge thanks to Clinton Crossing Premium Outlets for hosting the event and to all the stores who participated and helped create such a fun evening of shopping! I remember seeing photos of this event on instagram and thinking that it looked like you were having so much fun - now that I'm reading the details, I know why! 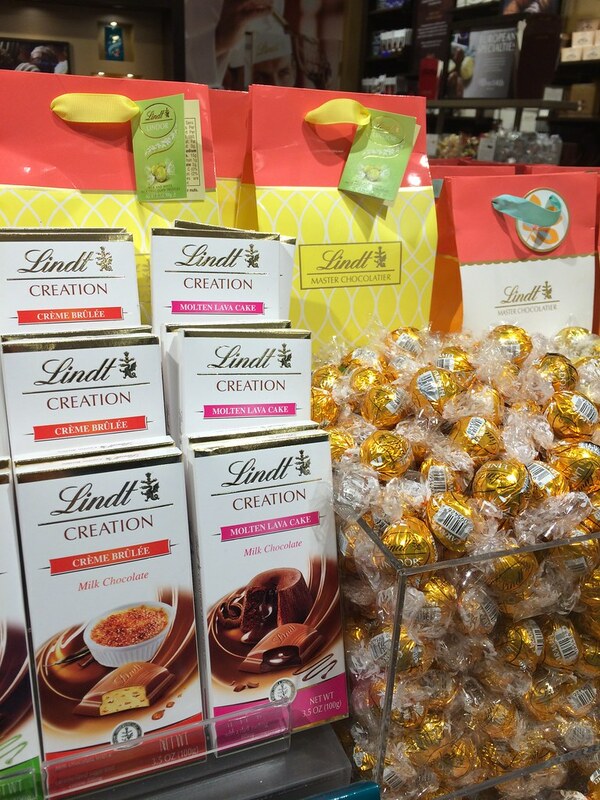 I have to admit, the thought of a Lindt store with a drink bar has me thinking I might want to travel to Connecticut in a hurry ;) And I must say, I do hope that blue dress came home with you, because it looks like it was made for it, an the colour is gorgeous. Speaking of gorgeous, those gold heels - LOVE. Now, that's MY kind of outing ;) what a great way to spend the day. That denim jacket is so cute on you and I love the shoes! Great items. Looks like a fab day!! Shopping events are so fun! Wish I was there! 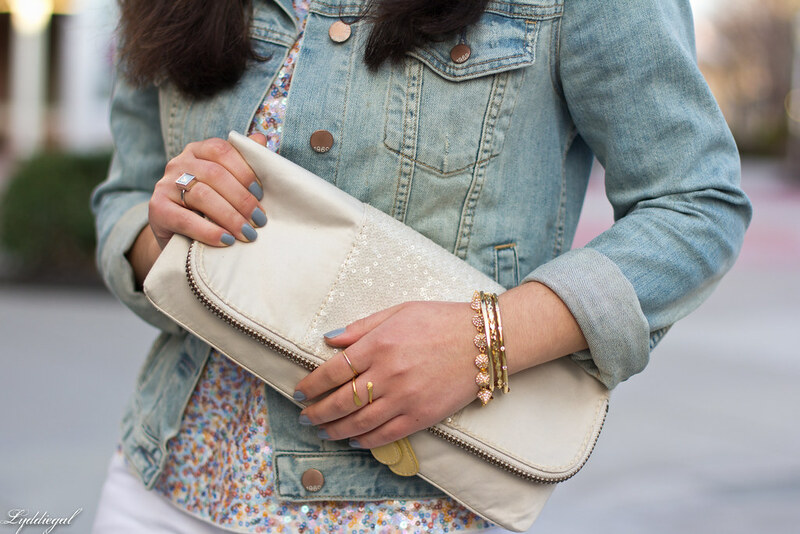 Your sequined tee is so fun! It's like a party in a shirt! I love those shoes! Also, I am loving the scalloped shorts you pictured! Looks like fun, I'm so jelly! Hope you had a great time, looking good as always. 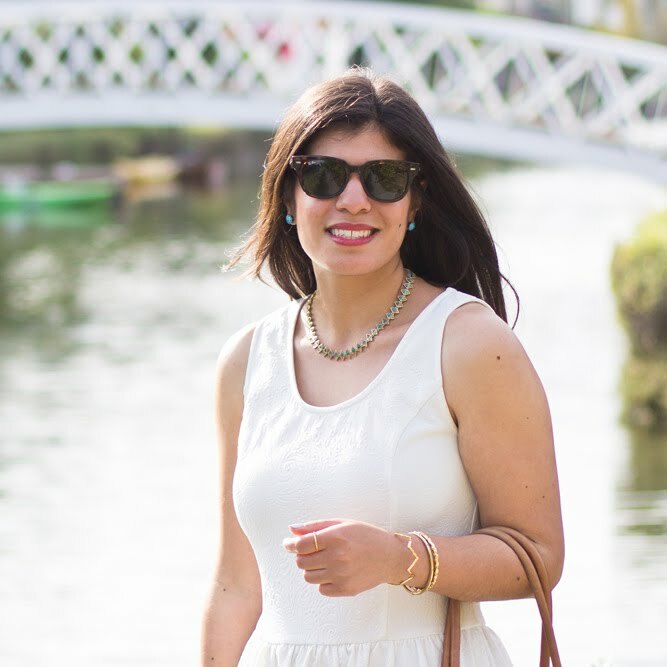 Like your style with this white denim and you are elegant with this dress, love love. Sounds like a fun event and I love those pretty gold heels. Sounds like such a fun event. 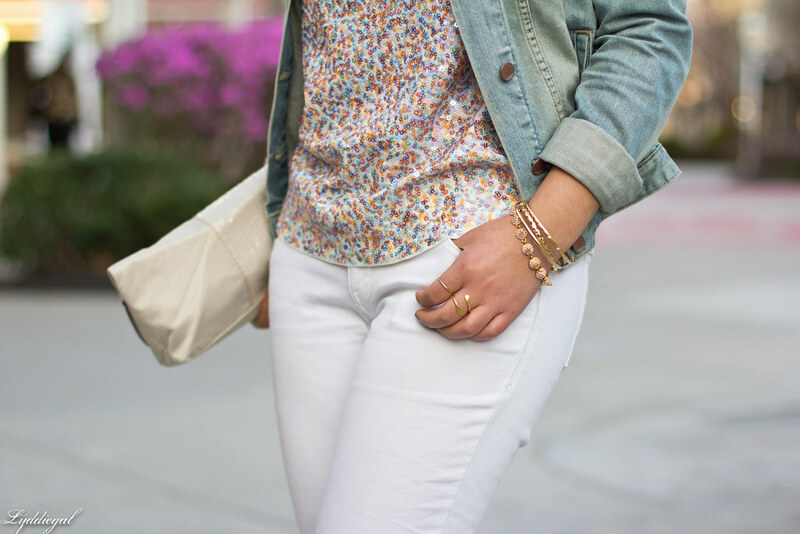 Love that sequin tee! That sounds like such a fun event! Dangerous though--I'd want to buy everything! 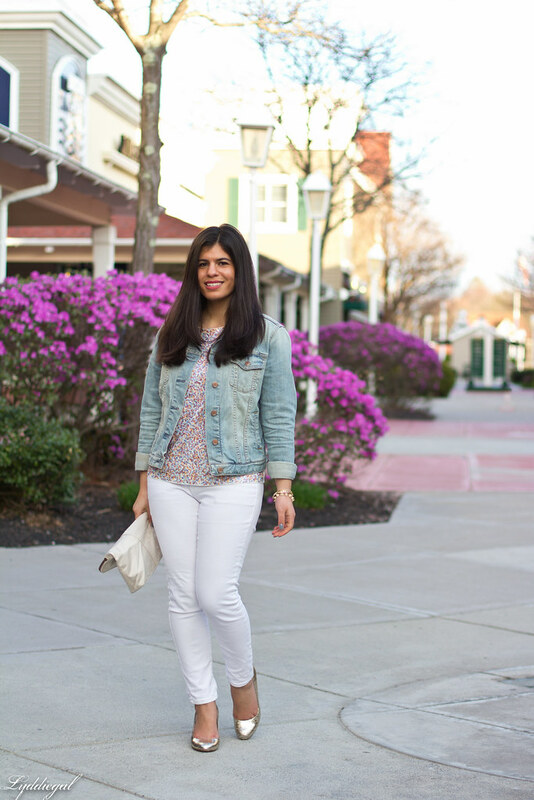 I love all these pretty light neutrals together and that cute floral top. This sounds like so, so much fun! I can't wait to see some of the things you got! Love your outfit dear, great event too!!!!! Sounds like a great time!! Love those shoes! sounds like a great time and love your cute outfit. You look so happy in these photos! I guess chocolate and shopping will have the effect! This is a lovely spring outfit. 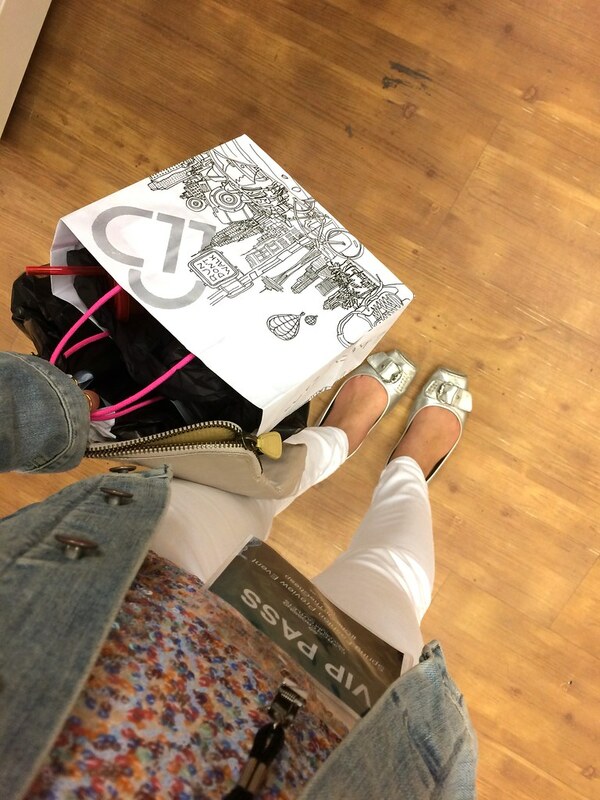 I love the white jeans and silver flats. Also nice pictures at the event!